China’s president Xi Jinping will land in Argentina this Friday to monitor – among other projects – the progress of two hydroelectric plants worth US$4.7 billion in Patagonia. This visit is all the more significant as it is the first trip of a Chinese president to the country in 10 years. The Jorge Cepernic dams are expected to generate 1,740 megawatts (MW) of electricity, almost 6% of Argentina’s current production capacity. It would supply roughly 10% of local power demand. In August 2013, the Argentine government awarded a contract to a consortium led by China Gezhouba Group Corporation (CGGC) to build the hydroelectric dams with Argentina’s Electroingenieria SA. Under the deal, both sides work together in the construction, operation and maintenance of the plants. CGGC is known for the construction of the Three Gorges Dam, the world’s biggest hydroelectric project completed in 2008 in China. Argentina’s untapped solar and wind resources provide plentiful opportunities for China. Although Argentina currently has the least renewable energy in the region (along with Venezuela), the government aspires to get 8% of Argentina’s power from renewables by 2016 – up from 2% in 2012. It also aims to generate 3.3 gigawatts (GW) of solar power by 2020. While international credit markets have shunned Argentina since it defaulted on its bonds in the 2001 economic crisis, Chinese banks have offered long-term loans to Argentinian companies at relatively low interest rates and with few policy conditions. Yingli Solar, a Chinese company and the world’s largest solar panel manufacturer, was the only renewables company to sponsor the 2014 World Cup in Brazil, reflecting both the growing interest of China’s clean-energy industry in South America and its increased global clout. China, the world’s leading investor in renewable energy, spent US$56.3 billion on wind, solar and other renewable projects in 2013, according to the latest global status report from the Renewable Energy Policy Network for the 21st Century (REN21). It invested more in renewable energy that year than the entire European Union. Latin America and the Caribbean (LAC) is a unique environment for Chinese companies to build hydropower, wind and solar facilities. Since 2007, 19 countries of the region have introduced renewable energy targets, tax incentives, feed-in tariffs and other government-sponsored policies to boost the renewable energy market, according to the Inter-American Development Bank. Installed renewable capacity in the region jumped from 11.3GW in 2006 to 26.6GW in 2012, says the bank. In 2012, the region increased its renewable capacity to 3.3GW, with Brazil contributing 62% of the total. “Latin America is one of the highest potential, most important emerging markets today. Market factors are aligning to catalyse the growth of the industry in many parts of LAC, including high electricity prices, strong solar resources, and government policies and regulations that support the market's growth,” says Jeffrey Barnett, vice president of international sales at Yingli Solar. Northeastern Brazil and the Atacama desert in Chile, in particular, are large markets for Chinese solar companies. They lie in what has been called the “sunbelt” due to some of the world’s highest levels of solar radiation. China Sky Solar has pledged to invest US$900 million to build 300MW of PV generating capacity in the Atacama desert. “Solar is still an emerging technology, firms and countries which establish strong positions now may be hard to dislodge in the future. […] So, China, or any country with an industrial policy to nurture solar as a major industry, cannot afford to overlook Latin America, especially as electrification is far from complete, unlike say Europe or the United States,” says David Fullbrook, senior consultant with DNV GL Energy’s Clean Technology Centre in Singapore. Chinese businesses are making leaps forward in hydropower and solar energy in Latin America. Chinese companies have worked so far on 22 hydropower projects in the region, according to International Rivers, a North American watchdog monitoring dam building around the world. Three are completed, seven are under construction and 12 are under consideration. In terms of solar energy, Yingli Solar said in March 2014 it expected to generate more than 1,500 megawatt hours (MWh) of electricity annually in Brazil. This is equivalent to the annual electricity consumption of about 6,000 Brazilians. In Mexico, the Chinese solar module manufacturer Suntech will supply 132,000 solar panels for the construction of the largest solar PV array in Latin America. The 30MW Aura Solar plant is located in La Paz, Baja California Sur. “The scale of China’s interests in solar is helping to accelerate cost reductions and performance improvements which will fuel demand globally, particularly from consumers facing high grid-power bills or struggling with limited electricity supplies such as people in remote villages or the urban poor of Latin America,” says Fullbrook. However, there are also fears a lack of far-reaching national policies on renewable energy in Latin America could slow China’s growing investment in energy. Despite high levels of sunshine, Brazil mainly relies on hydropower to generate energy and it does not yet produce PV cells – the electrical device that converts the energy of light into electricity. Another challenge for China’s investment in Latin American energy markets is building brands and delivering quality, says Fullbrook. 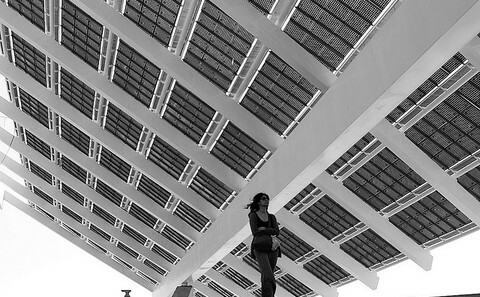 Myths about the lack of efficiency of Chinese solar panels persist, for example. “Chinese firms are improving fast with the leaders among the world’s best, but it may still take time to convince the market,” he says. Can China get the world to 80% renewables by 2050?